Riding along the next day, Rainhart pushed his mind out from the still place and tried to command one of the servants to stand up in the wagon. He couldn&apos;t. He couldn&apos;t even imagine how to. The man&apos;s mind was like a book open behind a glass case. Reading it was easy; the man thought of how the swaying of the wagon made him feel ill, how long it would take to pitch the tent, and his wife living at Whitefields. Rainhart saw his memory of the luscious terraced gardens and the white house rising from the greenery. But he could by no means impose his will on the man. It was difficult not to feel short-changed; Holle and Philomena rode up ahead, by turns going silent and giggling as they made a passing merchant throw them each an apple, or made a woman start braiding her horse&apos;s mane as she rode. Tancred managed to make a farmer turn his cart around and start going back in the opposite direction. And Rainhart became privy to a noble lady&apos;s prurient thoughts about her manservant. Terrific. The roiling sense of discontent made it difficult for him to reach the still place. He forced it aside for a moment, filling his lungs with air and then releasing it. He stood, like a man in the middle of a dark field, studying the heavens spread out among him, and became aware of another mind, faint and quiet, nearby. Curious, he brought it closer. He got an impression of vivid smells, the gravel beneath paws, the air on his tongue. "Briga," he said, shocked into speaking aloud. "Great gods." He ran his hand through his hair and looked at the hound trotting happily beside him. When they stopped for the night, he went to find Holle in the inn&apos;s little parlour, Briga at his heels. "Can you see her mind?" he said. Holle looked at him blankly. "Briga?" "Yes--I can read her--well, thoughts seems like too strong a word, really." "Oh." Holle blinked. "Let me see." She leaned back against the mantle and went still. A frown of concentration vanished from her face. After a moment she shook her head. "No," she said. "I can&apos;t see even a hint of her. You gift must be more sensitive." "Trying to make me feel better?" said Rainhart. Holle raised her eyebrows. "Do you feel as if that is warranted?" she said. "Are you dissatisfied with the mystical gift granted you by the sleeping divinities beneath a Jovani forest?" "I wish I could read your mind," said Holle, putting her hands on either side of his face. "What did you say to Philomena to make her so angry with you?" Rainhart shrugged her off and retreated to examine some notices the innkeeper had left in a pile on a side table. "Nothing. I merely suggested that it may be useful for us to continue our betrothal." "Ah," said Holle, with emphasis. "Why, ah?" Rainhart turned around. "Is it not true that Deusetats needs the alliance with Jovan now more than ever?" "I hope you didn&apos;t put it to her like that." At Rainhart&apos;s stubborn silence, Holle continued, "You may have wasted your chance with her, my brother." "I don&apos;t want a chance." Rainhart straightened the pile of papers, keeping his tone even. "I want to do what&apos;s right for my country." "I don&apos;t doubt the latter part," said Holle. "When I wish for your advice, I&apos;ll ask for it." Rainhart was about to leave when Holle caught his wrist and stopped him. "I hope you will," she said. "I give very good advice, and I&apos;m very fond of you." "Let&apos;s just concentrate on wresting Deusetats away from Valdon," said Rainhart. There didn&apos;t seem to be anything particularly wrong with skimming the minds of the people they passed. Rainhart needed to practice his gift as much as the others did, and what matter if he were privy to the topmost thoughts of folk he would know for two minutes and no more? So when his attention drifted back to Lord Valentin it wasn&apos;t on purpose; he agreed with Tancred that they must put limits on themselves. He knew that reading Lord Valentin&apos;s thoughts would be an intolerable betrayal of trust. But Lord Valentin&apos;s thoughts were strong and coherent, and it was like trying not to listen to a voice whispering in his ear. He realised Lord Valentin was going over what he would say to the Empress. Well, that was harmless enough to listen to. A king sympathetic to Jovan serves our interests. If the clan kingdoms are united, they may attempt to retake Gallica. Hm. King Godfrey was your ally. Perhaps I should leave that part for Tancred to say. The major point is that Tancred will marry Philomena to seal the alliance. Adrienne will understand what that means. What? Rainhart snapped back to himself. Tancred would marry Philomena? He felt blood rushing to his head. Well, that explained a great deal. No wonder she had mocked his offer; she had grander plans. 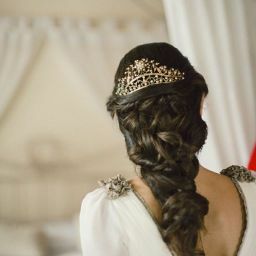 She was going to be queen, not the nameless wife of a second-rate prince. He stewed in a satisfying combination of outrage and the offended pride he had been tending since the previous day until they stopped for lunch. "Lady Philomena," he said, stomping over to where she stood by her horse&apos;s head. "May I have a word?" "Not again," said Philomena, frowning. Holle gave Rainhart a pointed look, which he ignored. Philomena gave him a surprised look and said, "If you wish." She followed him to the other side of the high way and stood, hands clasped in front of her, waiting. "I know you&apos;re planning to marry Tancred." "What?" Philomena frowned. "How do you know that?" "Did you read my mind?" She narrowed her eyes. "No, you can&apos;t read my or his grace&apos;s mind, so it must have been Lord Valentin. How dare you?" "It was an accident," said Rainhart. "I have to practice my gift the same as you three do." "On passers-by," said Philomena sharply. "Not on each other. Did you read anything else from him?" There was a tightness around her mouth. "Anything about--" She bit off the rest of the sentence. "Don&apos;t change the subject. Is that why you laughed at me the other day? Because you are planning on marrying Tancred? You know he&apos;s a lover of men, don&apos;t you? He&apos;ll never--"
He knew in that instant that he had gone too far and bit off the end of the sentence. 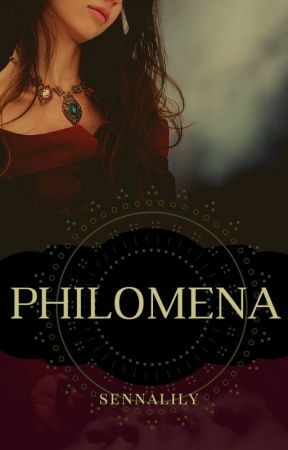 Philomena&apos;s chin snapped up and her eyes sparkled with fury. "How dare you," she said in a tone of controlled venom. "Yes, I know about Tancred&apos;s preferences. He told me when he suggested an alliance, because he respects me. And I respect him for his honesty, integrity and manners. Which is why, even if he were not the uncrowned King of Deusetats, and regardless of what happened in our bedroom, he would still be twice the husband you would ever have been, your highness." Rainhart straightened his shoulders. He opened his mouth and closed it again. Philomena began to walk back to her horse. She stopped with her back to him, then tilted her head and turned around. "You need to stop speaking to me as if I am your inferior, Prince Rainhart," she said, drawing herself up to her full height. "I am--I belong to House Sylvana, one of the most powerful families in the world. We have an empire that spans continents. You, for the time being, have nothing." She left Rainhart staring after her, speechless.